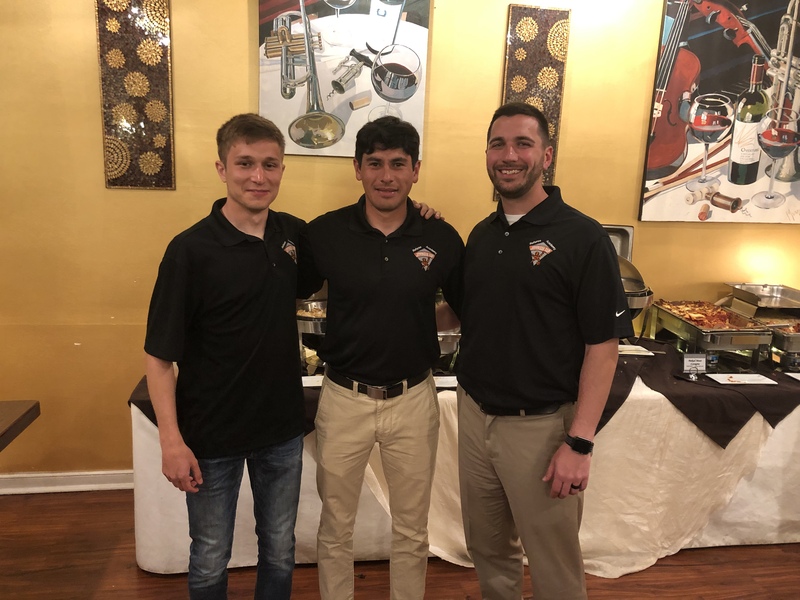 L to R: Izlen Peksenar, Wilmer Soriano and Ed Waddell were invited to Richmond, VA to participate in the Jefferson Cup Academy hosted by the Richmond Strikers, Central Virginia Soccer Referee Association (CVSRA) and the DC/Virginia state association. The hosts, also, invite and include FIFA, National and PRO mentors over the course of four (4) days. The event begins on Thursday night with a welcome dinner and orientation. Roni Canales of the Upstate, also, attended and served as a mentor this year. The Jefferson Cup consists of state cup winners (150), state cup runner up teams, regional champions (10), national champions (5) and other, competitive, high caliber teams. Several college teams participate in spring training scrimmages on Saturdays. Jefferson Cup reports over 400 college coaches attend this event. Congratulation to our very dedicated South Carolina senior referees.